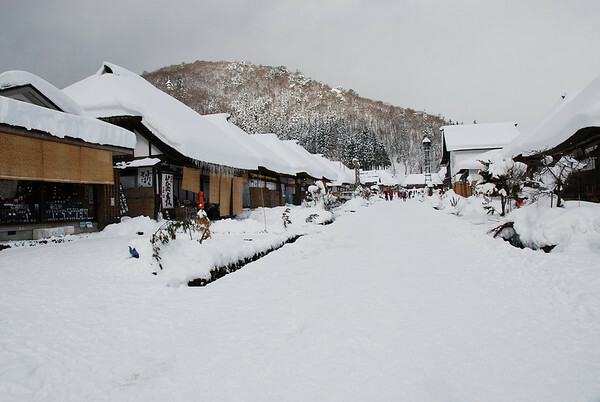 This is a historic Japanese village. 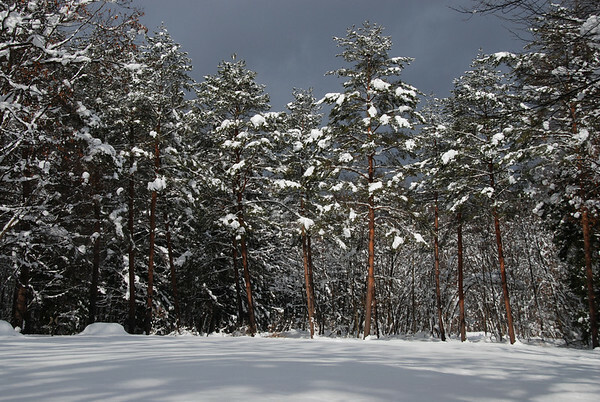 Its not far from Aizuwakamatsu. Some people arrived by taxi, I'm guessing from the nearby railway station. It was just a little bit busy when we were there, but not overly crowded. At least in winter the houses were mostly pretty closed up to keep the cold out. 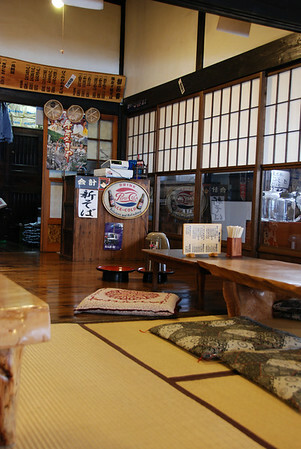 We'd recommend going into one of the restaurants to eat since they are nicely decorated inside aswell. Perhaps in summer you can see inside more easily. 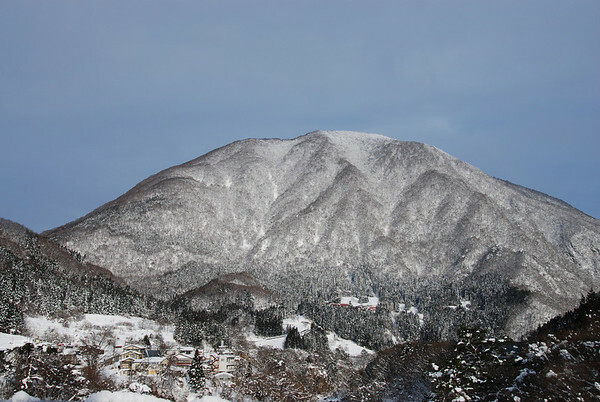 There is a hill behind the town where you can go to get a view over the town. 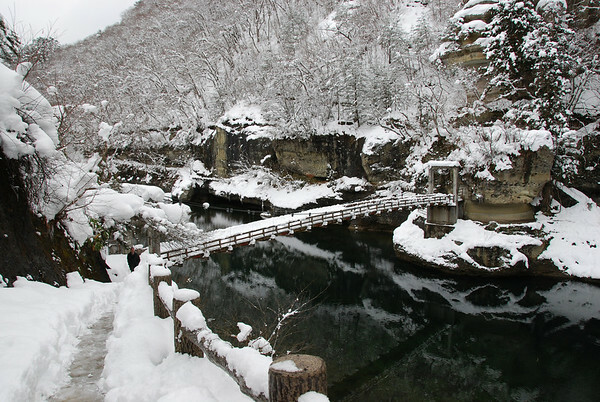 This is a very pretty little river walk just south of Aizuwakamatsu. Its not far from the train line which looks like a very nice way to see the area. Map Location very roughly! Our car navigation system could find it when we entered the phone number 0241-68-2648, you can book at their website Tatenoyu. 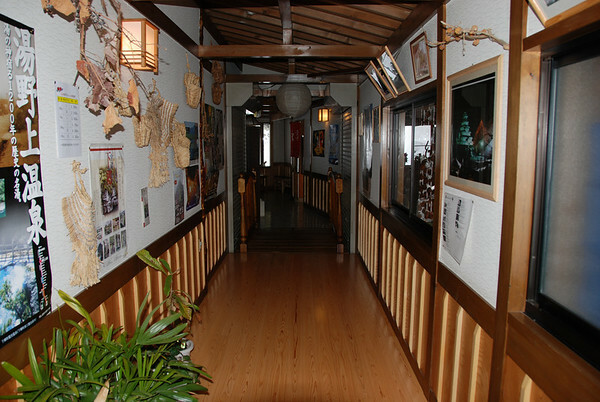 This is a very nice little hotel in Fukushima about 2 hours from Nasushiobara. Its our first Minshuku so we cant compare too well. But in absolute terms it is very good. 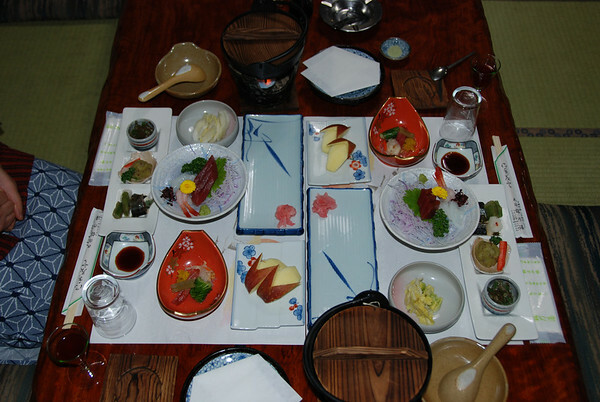 I'm not totally sure what the difference between a Minshuku and a Ryokan is, but I think its the fact that Minshuku are family run. This one is run by an extended family. We went in early January and there was quite a bit of snow, but it was never difficult driving. 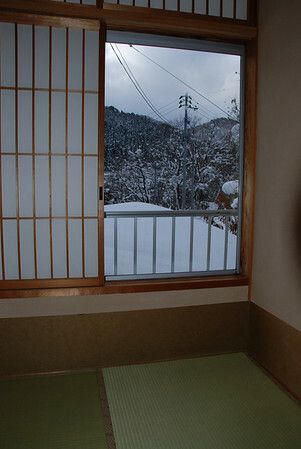 The room was good, with a nice view of the snowy surroundings. 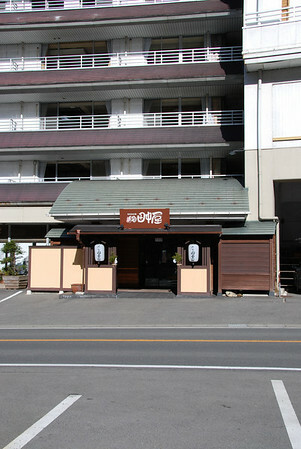 The onsen was good. Pretty with nice views of the mountains. Dinner was fantastic! There was a little beef hotpot at our table sashimi, unagi custard, barbequed fish (cooked in the room), fish soup (serve yourself from the pot cooking over the fire), many excellent little vegetable dishes including a sensational mashed potato and seemingly never ending tempura coming one piece at a time. It was a lot of food and it was very good. (my suggestion, and I know what I'm talking about here, don't eat two bowls of rice early in the meal!). They grow all their own vegetables and it shows, they were excellent. There was karaoke after dinner, but all the guests, including us disappeared quickly when it started leaving the host family to sing (for a short while). 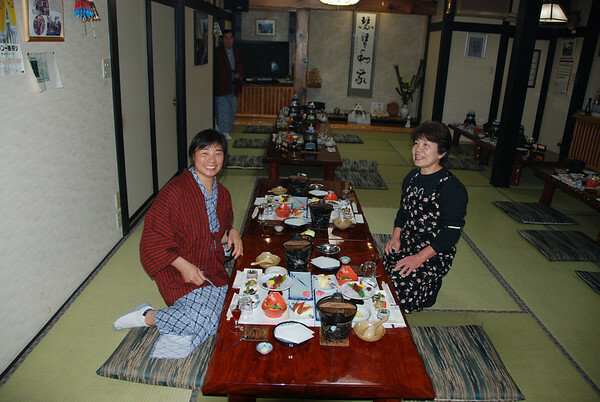 This would be a great place to stay when visiting Aizuwakimatsu, which is just a short way north. 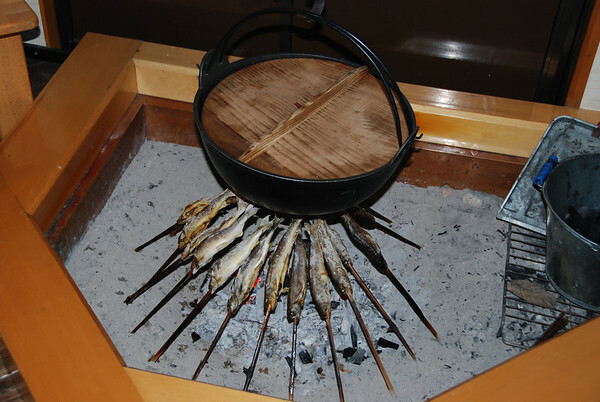 Locally, you can visit the excellent Oouchijuku and To no Hetsuri. There are other attractions in the area that we did not get to. And the best think of all about our night at this place? The whole thing cost 8000 yen each for a couple! This place is thoroughly recommended. 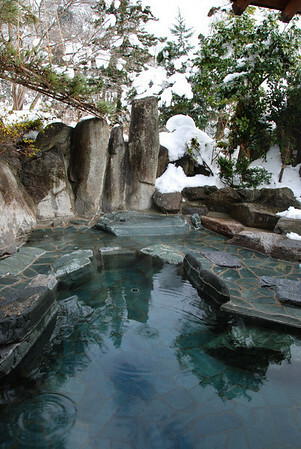 This is a fantastic onsen. 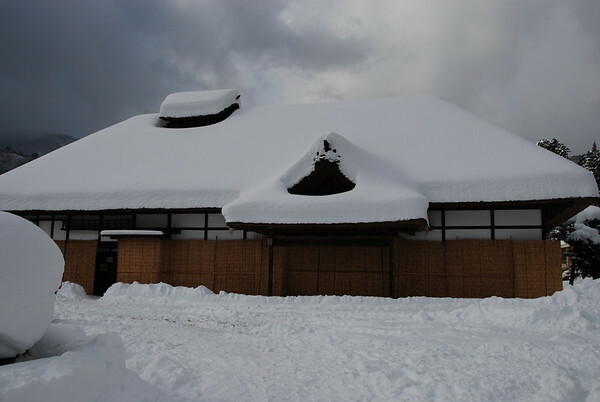 If you are in the Nasushiobara area for just a short time and you want to go to an onsen this is our pick so far. Its not so hard to find. 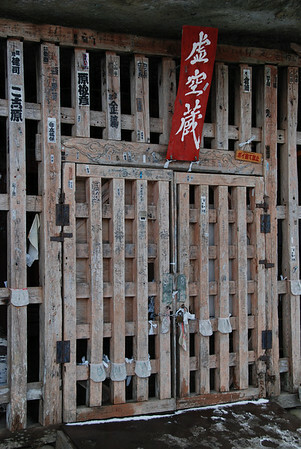 The hotel itself is on the way to Shiobara on highway 400. Its not very attractive from the road. 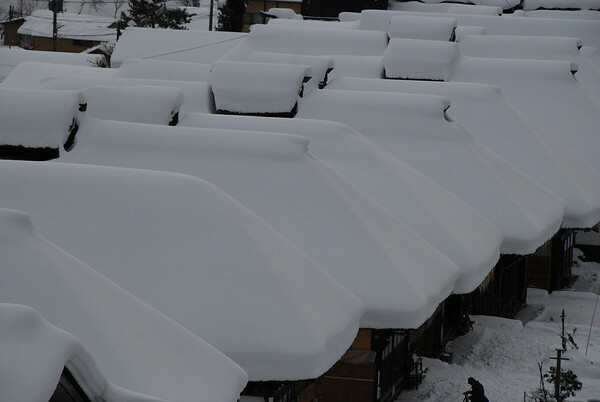 There is not much room there due to the very steep valley and the hotel is jammed in behind the road. There is a small parking area. If the parking area is full there is an old disused section of highway 50 meters down the hill where you can park and walk (carefully) up to the hotel. Go into the hotel and tell them you want an onsen. The price is 800 yen per person. 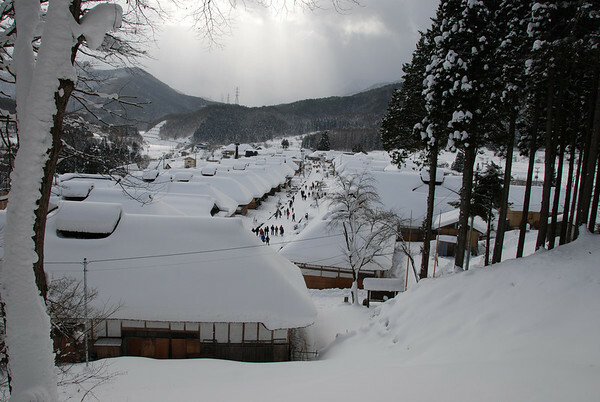 Then you have to walk to the onsen. Across the road from the onsen just up the hill from the carpark there is a small path, leaving the road, going down the hill. 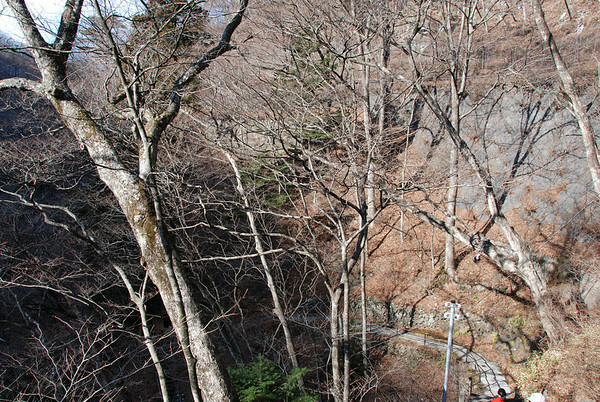 The onsen itself is all the way at the bottom of the hill by the river. Its peaceful, quiet, by the river and has great views. There is a private women's onsen, a large public pool that I'm assuming is mixed though I have only ever seen men in it (except for when its very quiet and my wife sneaks in). Then there are two quiet little pools right by the river. 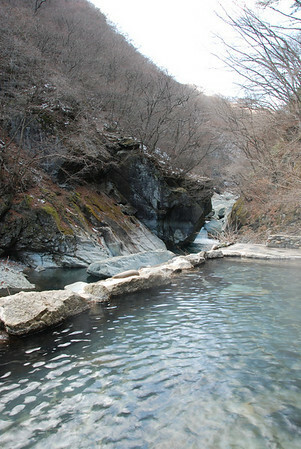 The little pools are not so great in my opinion because they are always too hot and too cold though one of them is very "by the river". 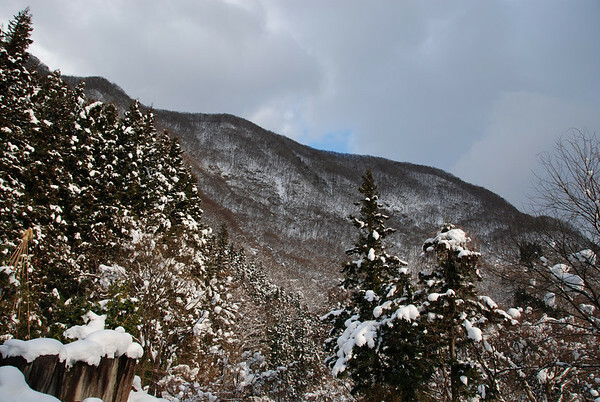 This is easily the number one pick for natural beauty onsen.